Built in tabs are pre-attached - just lift and label! Includes a letter-sized, printer-ready sheet of self-adhesive tab labels. All critical wear points are polylaminate reinforced. Pendaflex Ready-Tab Reinforced Hanging File Folders, Letter, 1/3 Tab, Green, 25/Box - Hanging File Folders feature clear tabs already permanently attached. Tear-drop slots accommodate standard insertable tabs. 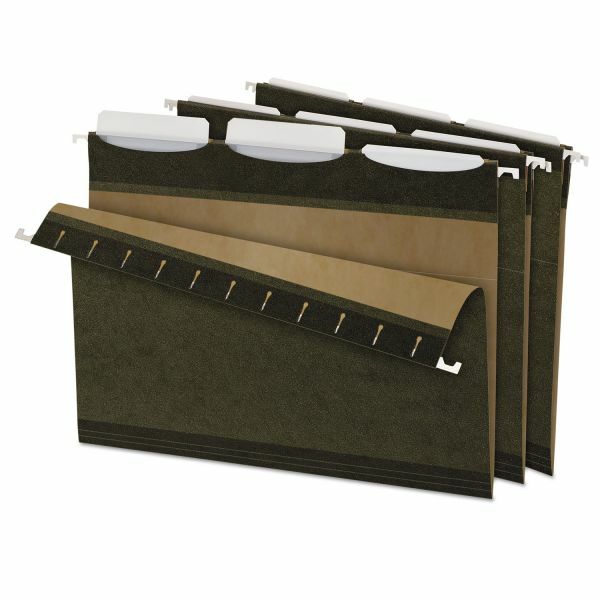 Includes Infopockets for filing small papers, photos, CDs and more. Reinforced with patented polylaminate at all critical wear points.